for $2,550,000. This home was built in 1923 on a lot size of 0.1235 Acre(s). 1122 North Gardner Street, is an 8 unit property located in the heart of West Hollywood. The eight-unit building is situated in one of the most desirable rental sub-markets in Los Angeles, and is walking distance from the trendy restaurants, lively nightlife and new retail shopping along Santa Monica Boulevard and the famous Sunset strip. The location is also considered a walker's paradise, with a pleasantly high Walk Score of 94, and is within proximity to public transportation, freeways and major employers in the area.The building offers a unit mix of eight well-maintained and attractive studio units. With its 1920's charm, many units have gone through a renovation program, with the upgrading of the interior units and the common areas. 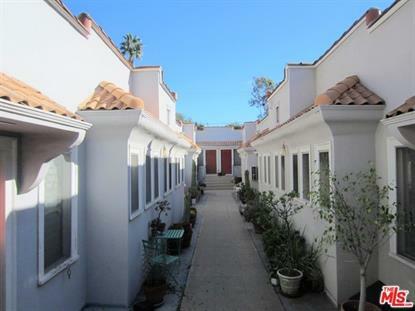 The property also features a private outdoor courtyard and secured gated access into the building for each tenant.